You can pass the value of a parameter to a calculated field in an analysis. 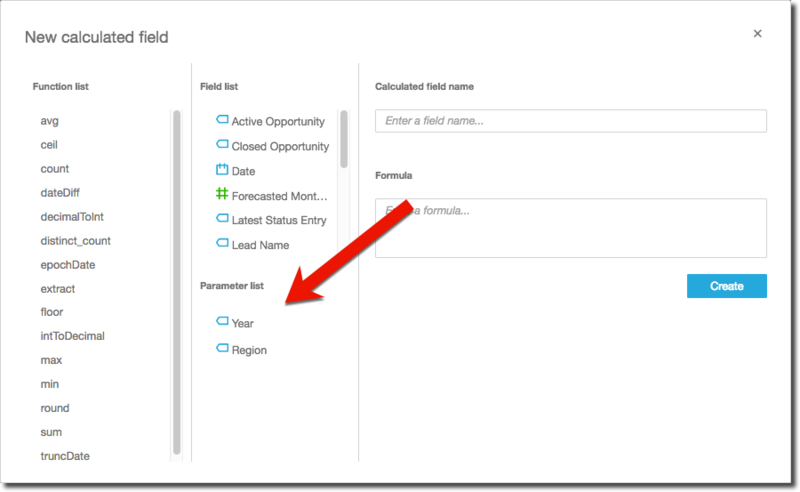 When you create a calculation, you can choose existing parameters from the list of parameters under Parameter list. You can't create a calculated field that contains a multivalued parameter—those with a multiselect drop-down control. The preceding example creates a metric (a decimal) that you can use in a field well. Then, when a user chooses a value from the parameter control, the visual updates to reflect their selection.